This beautiful wedding band is a unique piece from our Bespoke archives, designed and handcrafted by our master Goldsmith Julian Stephens in collaboration with a client. A sleek solid Palladium D-shaped wedding band is given subtle detail through a meticiously hand laythed 1mm band which runs around the ring. 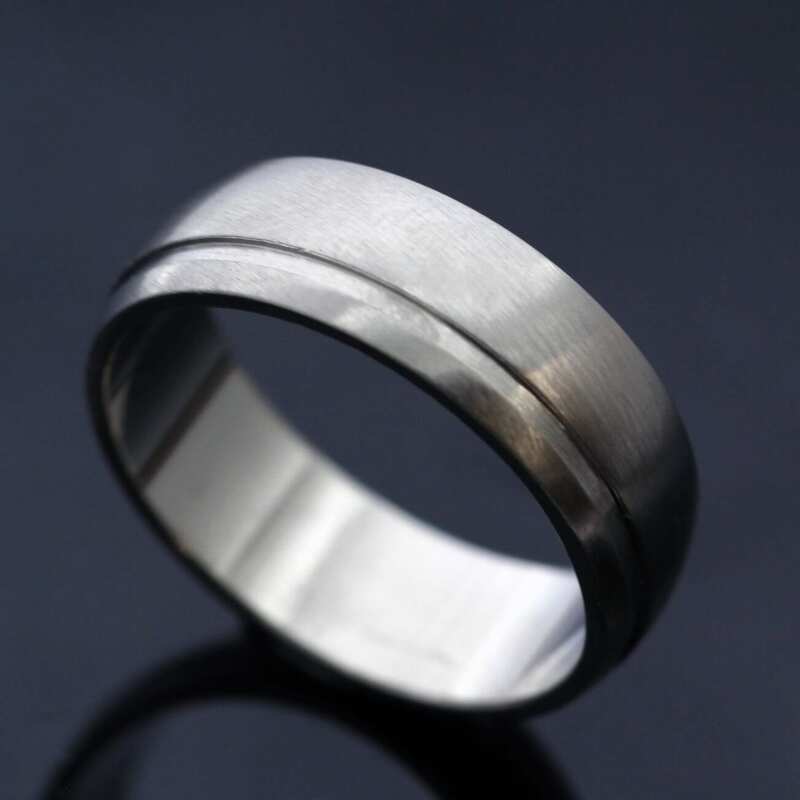 This stunning and unique wedding band is then finished with a meticulous, expertly satin finish to give the wedding band a soft matt effect to the surface of the Palladium. 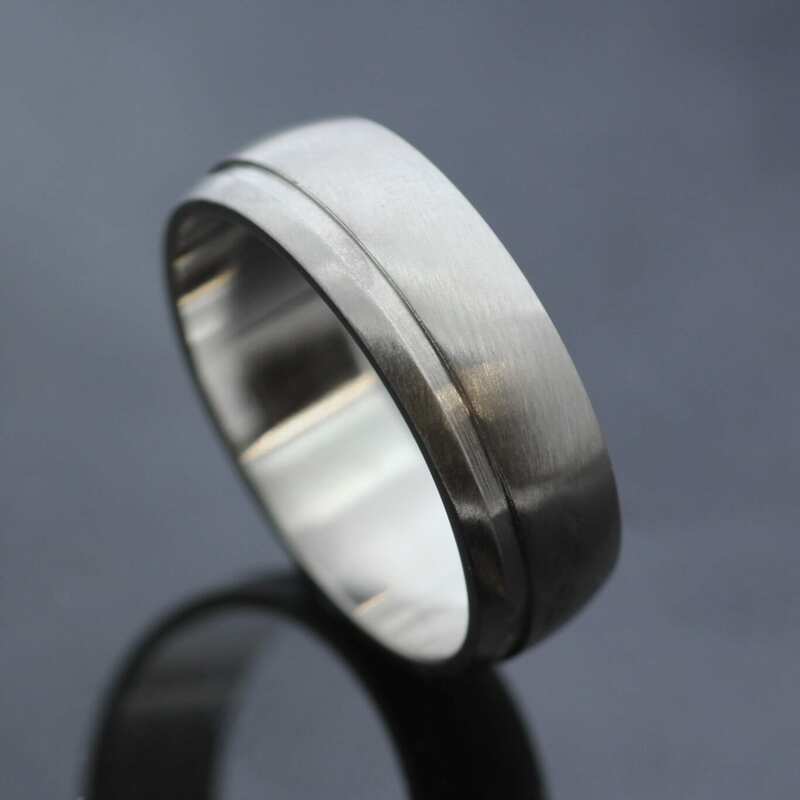 This unique and truly special custom made solid Palladium wedding band is finished with Julian Stephens exclusive makers mark and Hallmarking as a sign of its supreme quality and craftsmanship.